Download for free the Project Catalog for the Afternoon of Sharing. Articles by Judy Harris Helm, Yvonne Kogan, Pam Scranton and Rebecca Wilson. Project descriptions and photos for projects from toddler through 1st grade. Want to Learn About Engaged Learning and the Project Approach? Books and Resources on the Project Approach are available here. Registration and brochures for Becoming Young Thinkers 2019 are now available. The annual institute will take place in Peoria, Illinois, June 11, 12 and 13. It is an exciting side-by-side training opportunity for those new to project approach and for those wanting advance project skills with Judy Harris Helm, Rebecca Wilson and Pam Scranton. More information here . For training on site, contact us directly. .
Best Practices is a consulting and training company working for early childhood and elementary schools begun in 1997 by Dr. Judy Harris Helm. Best Practices Inc. is a certified WBE (Women's Business Enterprise). Services include school and program design, onsite observations; guided self-assessment of active, engaged learning; and training in specific practices such integrating standards, the project approach, documentation and authentic assessment. Dr. Helm incorporates research from neuroscience into her speeches and training. Workshops, keynote speeches and awareness presentations are available. Best Practices Inc. has certification as a Women's Business Enterprise (WBE).Click here to go directly to workshops and keynotes. Breaking new ground: The evolution of the community school concept in one city. Helm, J., and Clark, D. In M. Cornish (Ed. ), Promising practices for partnering with families in the early years: Family, school, community partnership, Greenwich, CT: Information Age Publishing, 2008. Got Standards? Don't Give Up on Engaged Learning in the June issue of Young Children the journal of the National Association for the Education of Young Children. July 2008, pages 14-20. Best Brains in Science Under Five: Helping Children Develop Intentionality in the January February issue of Exchange Magazine pages 50 - 52. Energize Your Professional Development by Connecting with a Purpose: Building Communities of Practice in the June issue of Young Children the journal of the National Association for the Education of Young Children. pages 12 - 16. Read an excerpt from the article here. Free templates for Microsoft Publisher to be used to create displays that show how real authentic learning is occuringin your classrooms are available by clicking here. Directions for using the templates are located in Building Support for Your School. 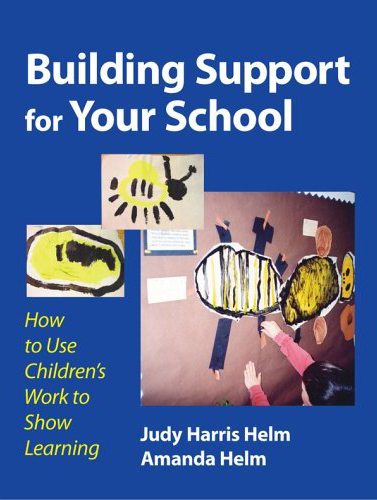 Click here to order Building Support for Your School: How to Use Children's Work to Show Learning . 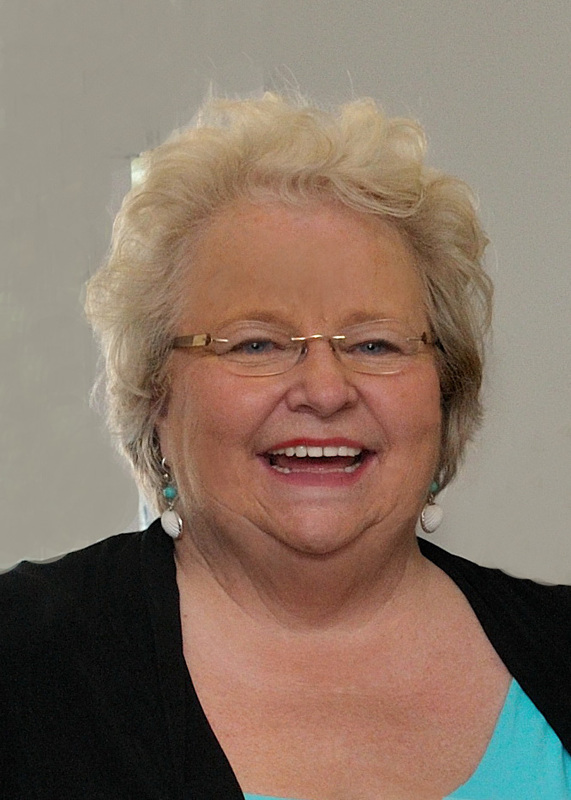 Judy Harris Helm, Ed.D., began her career teaching first grade then taught 4 year olds, directed, and designed early childhood programs and taught in teacher training programs. She served on the Task Force for the design of the Valeska Hinton Early Childhood Education Center eventually becoming Professional Development Coordinator for the school. For ten years she has been assisting early childhood and elementary schools in integrating research and new methods through her consulting and training company, Best Practices, Inc. Dr. Helm completed her graduate studies for both her M.A.T and Ed.D. at West Virginia University, College of Human Resources and Education . Teachers College Press, Columbia University, publishes her writing. She is co-author of Windows on Learning: Documenting Young Children?s Work; co-author with Lilian Katz of Young Investigators: The Project Approach in the Early Years; co-editor of The Power of Projects: Meeting Contemporary Challenges in Early Childhood Classrooms, co-author of Teaching Your Child To Love Learning: A Guide to Projects at Home and the companion training materials, Teaching Parents to Do Projects at Home: A Tool Kit for Parent Educators. Dr. Helm served as the primary design consultant for The Power of Documentation: Children's Learning Revealed Exhibit at Chicago Children's Museum which was funded by the McCormick Tribune Foundation. Her work has been translated into five languages and she provides consultation and training throughout the country and internationally.